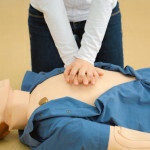 One vital skill you may want to learn is how to perform CPR. Why is this such an important skill to acquire? Because in the event of an emergency, CPR can help save lives. In fact, according to the American Heart Association, roughly 80 percent of all out-of-hospital cardiac arrests happen at home. With that in mind, you can see how learning CPR can mean the difference between life and death for someone you care about. CPR stands for cardiopulmonary resuscitation. On a basic level, this is a combination of mouth-to-mouth and chest compression techniques designed to help a victim who is unresponsive or not breathing. Through the proper use of these life-saving techniques, you can help someone avoid permanent damage to the brain and possibly even death. Performing CPR in a timely manner is so vital to improving a victim’s chances of survival and recovery in the event that their blood and oxygen supplies are not circulating properly. Because research shows that about 95 percent of sudden cardiac arrest victims die before even reaching a hospital. When do you need to use CPR? When a victim experiences any trauma that results in cardiac arrest or the inability to circulate oxygen-rich blood to the brain or heart (or other major organs), CPR can help save their life. Here are a few examples of life-threatening events that may require you to use CPR. Electrical injuries occur when a victim comes into contact with high voltage electrical energy. When a victim is exposed to this amount of electrical energy, it can result in violent muscle contractions, severe burns (and other tissue damage), cardiac arrest, and even death. 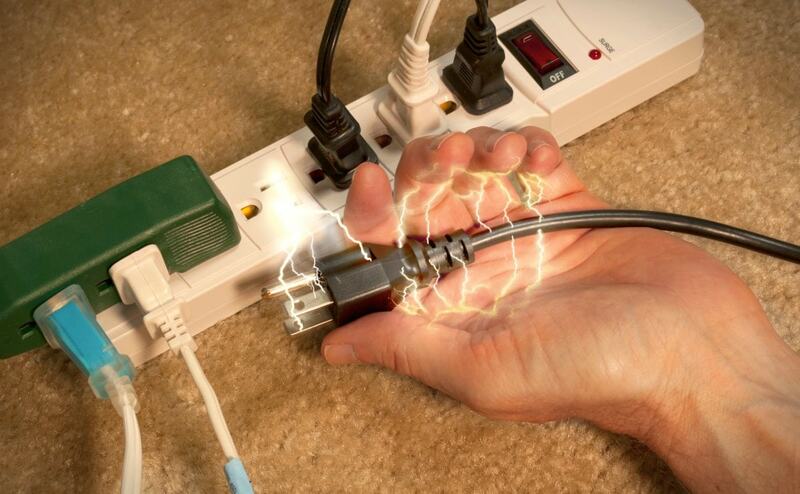 As mentioned above, if someone you know suffers from an electrical injury, it could lead to cardiac arrest or worse. With proper CPR training, however, you can be prepared to help them in case of an emergency. According to the National Fire Protection Agency (NFPA), most fire deaths are not caused by the fire itself, but by the resulting smoke inhalation. Candles. Although scented candles can illuminate a room and make it smell great, candles have been known to cause fires when left to burn, especially during a power outage. Smoking products. According to data gathered by the NFPA, lit cigarettes are the leading cause of lethal fires, resulting in 700 to 900 deaths per year. Many fatal fire-related accidents occur in the living room as a result of people carelessly discarding them or not putting them out properly. Space Heaters. Statistics show that heating equipment, such as a space heater, is the second leading cause of home fires. Improper use of a space heater and leaving one close to something else that is combustible has been shown to result in dangerous fires. Cooking. Fires often occur within the kitchen because cooking usually involves the use of high heat and flammable liquids such as oil or grease. This is especially true when people are distracted and leave their food cooking and unattended. This is significant because as a fire grows, it not only releases toxic particles, vapors, and gases such as carbon monoxide, it also depletes the available oxygen nearby. 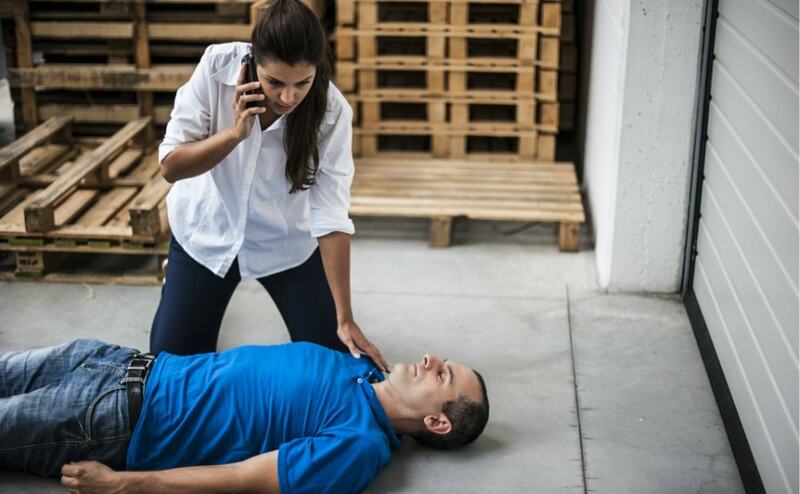 In the event that someone you know suffers from cardiac arrest as a result of smoke inhalation, proper CPR training can help save their life. 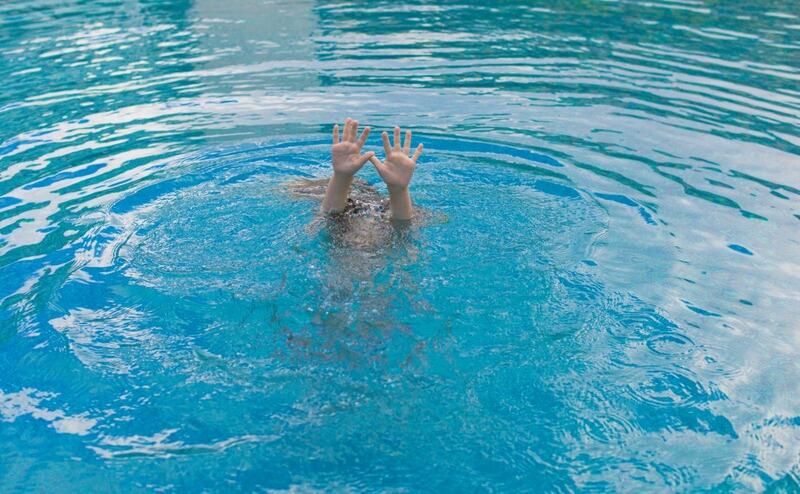 Drowning occurs when a person is submerged in water, resulting in decreased oxygen levels in the bloodstream. The lack of oxygen and other factors, such as water entering the lungs, can result in cardiac arrest and even death. According to statistics, drowning is the third most common cause of accidental death around the world. And according to the Center for Disease Control and Prevention (CDC), roughly one in five people who die from drowning are children 14 and younger. If you see someone is drowning, it’s extremely important to quickly take the necessary actions needed in order to help save their life. Look for Help. If there’s a nearby lifeguard, make sure to get their attention. If not, you should call 911 for assistance. Check the victim’s breathing. Put your ear to their mouth and nose, and watch to see if their chest is rising and lowering, to see if they are breathing. Check the victim’s pulse. You can check a victim’s pulse by putting two fingers on the inside of their wrist (or on their neck) as you try to find a beat. If you cannot detect a pulse, CPR is the next best course of action until help arrives. With this in mind, it shows how important CPR training can be when it comes to keeping you and your loved ones safe. Suffocation happens when air cannot reach the lungs due to a physical blockage. When air cannot enter the lungs, there is a decrease in oxygen to the body that causes organ failure, resulting in cardiac arrest and even death. Suffocation often occurs in children around the home where many choking hazards exist. In fact, roughly eighty-eight percent of suffocation/strangulations deaths occur in children below age four. Children may choke on small foods and toys and can become tangled in window blind cords, appliance cords, and shoe strings. That’s why it’s so important to keep an eye out on them in order to prevent suffocation and/or strangulation. As you can see, there are many life-threatening situations that can occur on a daily basis. You may find yourself or a loved one in a medical emergency, and learning such a vital skill can help prepare you to quickly take action and even save someone’s life. 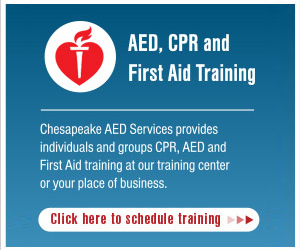 So if you’re a resident of the Baltimore area and are looking to learn CPR training, contact Chesapeake AED Services today to learn how you can get certified right away! With the proper CPR training, you’ll be able to step in at a moment’s notice to help someone in case of a serious emergency.